Throughout his professional career, Dean Taradash has zealously represented clients in all areas of family law throughout the greater Chicagoland area. Since Mr. Taradash was licensed to practice law, his primary area of concentration has been in divorce and family law related matters (custody, support, visitation, removal, etc …) Divorce and family law related issues require a special lawyer. Very often, family law attorneys serve as both advocates for their clients as well as therapists. Mr. Taradash takes pride in recognizing how emotional divorces can be for the parties and that special consideration needs to be paid to ensure that cases are treated with the devotion they require. Mr. Taradash is committed to obtaining the best possible results for his clients. Mr. Taradash is recognized in the legal community as being a strong advocate for his clients while maintaining an extraordinary level of skill and compassion. Mr. Taradash is a court appointed child’s representative/guard ad litem. Serving as an advocate on behalf of children is especially important to Mr. Taradash. Children, far too often, are used as pawns by their parents in order to win custody battles. Mr. Taradash has seen how children’s lives have been turned upside down because their parents selfishly attempt to alienate them from the other parent. Mr. Taradash recognizes the value and importance of having both parents be as fully devoted to their children as possible, especially when going through a divorce. It’s very important for parents to understand that although the bonds of matrimony are being dissolved, the parents are still family. They will always be mom and dad to their children. Like it or not, they will be involved with each other, as parents, for the next several decades. Mr. Taradash can competently handle any complex family law issue. He has passionately and aggressively represented men and women in all aspects of family law. Whether it’s divorce, property division, child custody or any complex family law issue, Mr. Taradash is always 100% committed to his clients. The client always comes first. Mr. Taradash offers a pragmatic, compassionate and, if need be, aggressive approach to resolving any family law matter with the skill and experience you need on your side. Mr. Taradash is dedicated to providing his clients with the highest caliber of representation. While Mr. Taradash is always willing to negotiate a fair settlement, he is also more than capable to take a case to trial to ensure that his clients receive the best possible resolutions. Mr. Taradash has been practicing exclusively in family law since attaining his law degree from Chicago Kent College of Law/Illinois Institute of Technology. 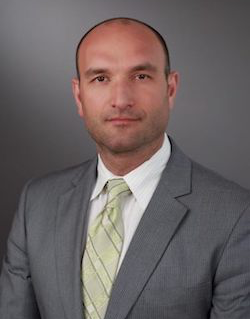 Mr. Taradash grew up in Rogers Park, a community on the north side of Chicago and attended Loyola Academy for high-school and DePaul University for undergrad, where he received a Bachelor of Science in political science. Mr. Taradash is an avid golfer and enjoys most sports. He is currently married and continues to reside in Chicago. He and his wife, who is also an attorney, enjoy cooking at home and travelling.